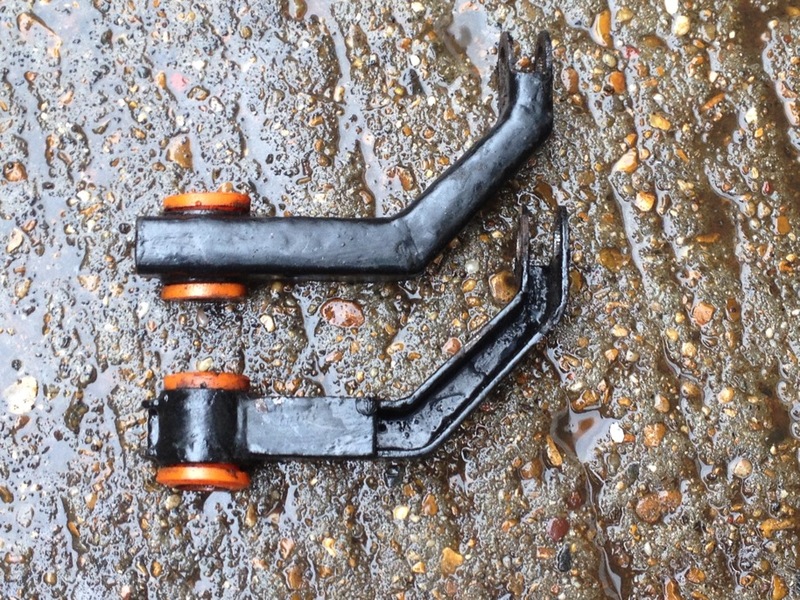 I am a firm believer in replacing rubber suspension bushes with polyurethane for a number of reasons. They last longer, they reduce unwanted compliance and help to provide more consistent suspension and steering inputs. We are fortunate in being able to obtain p/u bushes for both the Dart and the V8 Saloon and would be pleased to fit them to your car. There are 46 bushes on a Daimler Saloon (fewer on a Dart) so this is not a quick job but one that should be considered especially when replacing springs and dampers. P/U bushes installed in Dart wishbones.